Jesus preached, in the Sermon on the Mount, “Judge not, that ye be not judged” (Matthew 7:1, KJV). But what did He mean by that? Did He mean His followers should never criticize someone else’s behavior? Did He mean we should all just “mind our own business”? How can we call the world to repent if we are not supposed to criticize sinful behavior? And at what point does it become “judging”? As a part of our re-examined series, let’s consider this passage in context. Rather than actually stopping to consider, “Is my behavior wrong?” people turn the tables on their accusers and accuse them of doing wrong. But is this how Jesus intended for this passage to be used? Did He intend for us to use His words as a shield against rebuke and admonishment? Not so fast! 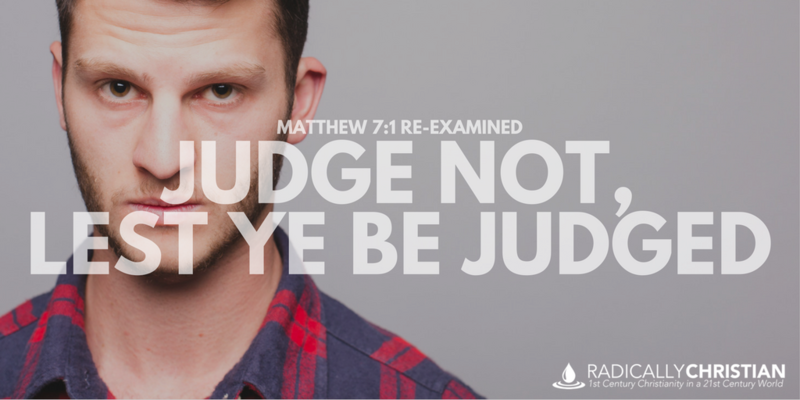 Jesus really did say, “Judge not.” So let’s discuss what He meant and how it applies to our lives today. 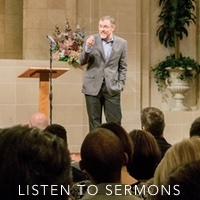 In the Sermon on the Mount, Jesus is primarily indicting the hypocrisy of people like the Pharisees (see Matthew 5:20). The Pharisees were people of double standards. They were people who appeared to be keeping the Law, but were really twisting the Law to suit their own purposes and to use it as a weapon against others. They were very big on religious traditions and ceremonies. They were very big on keeping up appearances. They prayed, fasted, tithed, and performed purification rituals. But they also perverted justice and neglected mercy. And one of the things that makes God angry – perhaps the thing that makes Him most angry – is “religious” people who neglect the poor and vulnerable. They judged by their own standards. The Pharisees judged by their own traditions and twisted interpretations of the Scriptures. Throughout the Sermon on the Mount, Jesus corrected their misinterpretations and misapplications of the Law. He was helping them to see how their standard of judgment was wrong. They were wrong for saying things like, “Love your neighbor and hate your enemy” (Matthew 5:43). Furthermore, the Pharisees were “hypocrites.” Meaning, they had the appearance of being one thing, but they were really another. They tithed herbs from their garden, but “neglected the weightier matters of the law: justice and mercy and faithfulness” (Matthew 23:23). They had a huge beam in their eye, but were more concerned about the tiny little speck in their brother’s eye. We need a mighty big dose of Jesus’ words today! Aren’t we guilty of being far too similar to the Pharisees? Don’t we have double standards? Don’t we give ourselves the benefit of the doubt, while assuming the worst about others? Don’t we judge people based on religious traditions and biblical speculation? Don’t we get all caught up in matters of religious ceremony and ritual, while neglecting the weightier matters of justice, mercy, and faithfulness? Don’t be quick to dismiss this passage. When you accuse someone of wrong-doing and they turn around and accuse you of judging, consider whether or not they might be right. Are you trying to bind your own standards and traditions on them? Are you being a hypocrite? Are you being entirely too harsh and critical? With all of this said, don’t use this passage as a defense against judgment. Jesus actually invited people to judge Him. He knew He was in the right and told people if they judged Him with right judgment, they would see He was in the right (see John 7:14-24). But sometimes you are not in the right. Sometimes you need to be corrected, admonished, and criticized, don’t you? I know I do. Sometimes I have a beam in my eye, or even just a speck, and I need someone to point it out to me. Instead of telling people not to judge you, why don’t you just start asking whether or not their judgment is right? If you’re being judged unfairly, ignore it. If you’re being judged rightly, repent.